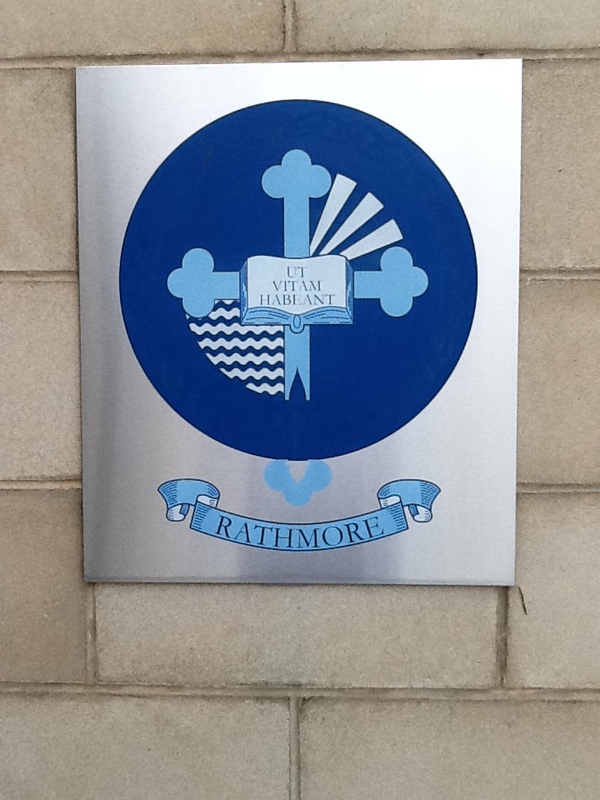 RATHMORE SCHOOL, BELFAST NEW SYNTHETIC PITCH AND TRACK Rathmore School in Belfast has just handed over the final part of a major sports construction project within the School Campus. The School commissioned Sports Labs to design a new multi-use 3g artificial pitch capable of hosting GAA, Rugby and Soccer games this together with a new polymeric surface capable of hosting athletics and tennis, it an impressive facility. The project constructed by local contractor Tony Patterson Contracts Ltd, commenced last year but ran into weather problems and track was only completed this year as a result. The turf system was provided by Lano Sports a high tech artificial grass system designed to meet the stringent standards demanded by the Gaelic Games Association. Here a dense monofilament carpet system and in situ shock pad was selected to provide the 'performance system' which has inherent long term durability properties due to the careful selection of carpet/pad combination. The artificial pitch now in service has exceeded the expectations of the sports staff at the school, Neal Peden Head of PE at the School said " the pitch will be a real asset to the School and will allow us to develop games to the highest standard" the Bursar Paul Drumm said "the facility has become the focal point of the School sports and although we have excellent grass pitches at the School the new artificial pitch provides a guaranteed high quality surface all year round". The pitch and track provides a large area of artificial surface to host a variety of sports, the School make use of the pitch for Gaelic games, Rugby and Soccer as well as rounders etc. The track provides an area for athletics and tennis as well as a warm up area, there is also a long jump facility added to make the whole area a truly mutli-sport facility. The pitch has a number of interesting features; pull out Gaelic goals which are a great feature. 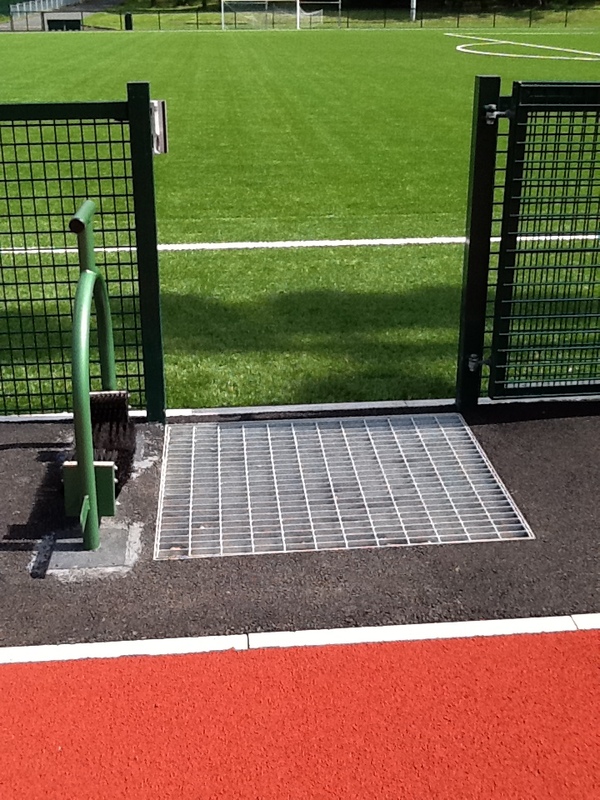 Footwear cleaning areas at each entrance gate to ensure that the pitch receives maximum protection from contamination from users.